You have reached the OutdoorNI.com Easter blog for 2010 but don't worry there's still plenty of Easter family adventures happening this year too! Check out our latest blog Easter Family Adventures 2013 for loads of ideas to keep the kids amused this Easter. Easter is fast approaching and there’s plenty to celebrate; the days are finally getting longer, there’s copious amounts of chocolate eggs to be consumed and most importantly the activity providers of Northern Ireland have gone all out to provide you with some great outdoor family events! If you’re struggling to think of something to keep the kids and teens amused over the break that doesn’t involve a T.V. 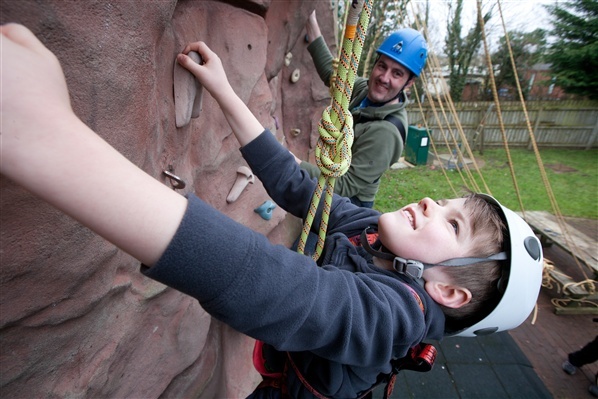 then don’t worry we’ve got a fantastic list of adventure activities that are sure to inspire! Make the most of the better weather, and get everyone outside and active. I discovered a whole new world of canoeing a few weekends ago via the Canoe Association of Northern Ireland (CANI). You have to understand that is a very embarrassing statement for me considering I have worked very closely with key staff from CANI for the past few years. To further the embarrassment I was previously a qualified Level 2 canoe coach and a fully signed up member of the aforementioned organisation. But enough of the confession and back to the whole new world. 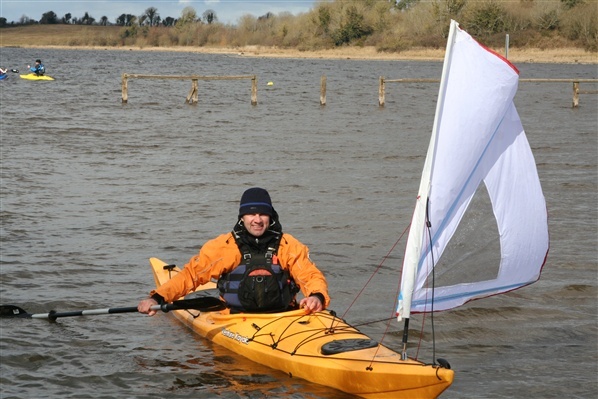 Over the weekend 13th & 14th March I was at the Share Holiday Village in Co.Fermanagh for CANI’s annual ‘Paddlefest’ event. I had always wrongly assumed that this was for the elite paddlers refining their well honed skills and that attendance by a mere mortal like me would be a waste of time. However on arrival it quickly became clear that the event was certainly not full of world beating paddlers. This is not meant to be derogatory to those in attendance but rather as an encouragement for those, who like me, previously have not attended the event before to get along next year. Paddlefest is CANI's annual paddlesport event to bring paddlers of all ages and abilities together to enjoy our sport. It is open to all abilities and disciplines and provides the choice to either develop existing skills or try a new discipline. 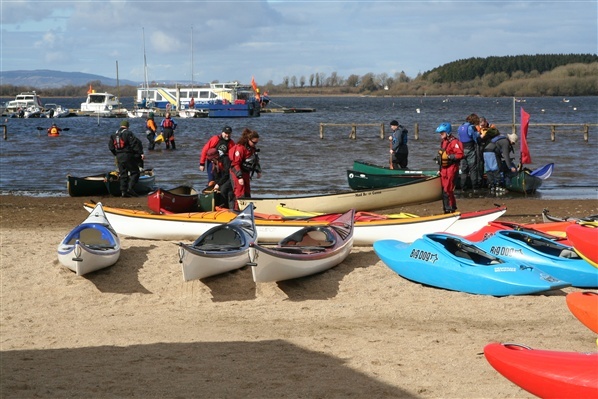 The theme of this year’s event was flat water paddle sport and what better location than the Share Holiday Village, Ireland’s largest activity centre and situated on the shores of Upper Lough Erne. The centre is actually a designated access point on the award winning Lough Erne Canoe Trail. can hardly be classed as elite sessions, in fact they are essential for people like me. The weekend was rounded off with an opportunity to get out and explore with a trip on a section of the Lough Erne Canoe Trail on Sunday morning. The on the water sessions were also accompanied by enlightening talks ashore, what can only be described as an ‘Aladdin’s Cave’ of new canoes, kayaks, clothing as associated equipment; and of course plenty of fun and games in the bar in the evening. The event was certainly not intimidating, in fact it was the opposite and I would encourage paddlers to get along next year. 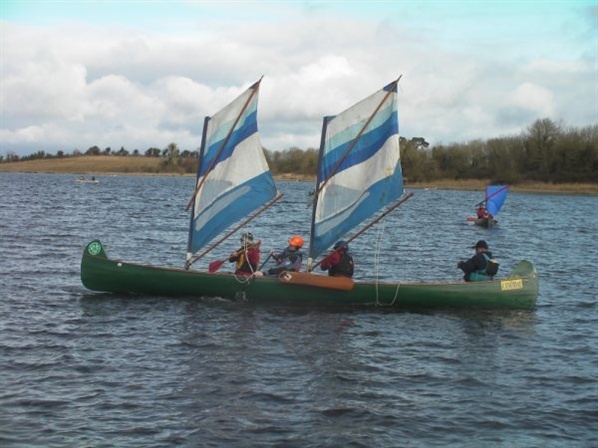 You don’t have to be a CANI member, although that will be strongly encouraged and with a full calendar of recreational trips being planned by CANI along the canoe trails for the summer then annual membership certainly seems an attractive option. A few days off work coupled with some good weather (fingers crossed!) gives us all a chance to get out on our bikes…even if it is just an excuse to get it out of the garage – where my bike has been sitting for quite a while! Here are a few ideas below to whet your appetite! Lagan and Lough Cycle Way – a 21 mile traffic free cycle route from Lisburn to Belfast and onto Whiteabbey. Cycle it all or try out short sections. A popular stretch is from Lisburn to Lagan Meadows stopping at the Lock Keeper’s Cottage for a cup of tea! Comber Greenway – a 7 mile traffic free path from Belfast to Comber. There are plenty of options to take a break in Comber. 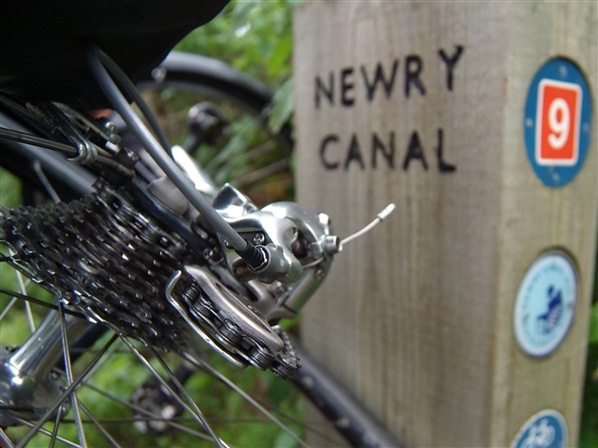 Newry Canal Towpath – a popular cycle route following the River Bann stretching from Portadown to Newry totalling 20 miles in length. If you want to cover the whole route, a good stopping point is the Scarva tea rooms. If you want to cycle shorter sections of the route, facilities exist in all the main towns. Belfast Lough – a 7 mile traffic free cycle route, taking in fantastic views over Belfast Lough, starting at Whiteabbey and finishing in Belfast. Highlighted along the way include Hazelbank Park, Clarendon Dock and Lagan Weir. Craigavon Lakes – this 6.5 mile purpose built mountain bike trail creates a challenging and also scenic riding experience. Craigavon Watersports Centre is at the start and end points of the route to stop off and grab something to eat. Download maps for these routes on CycleNI.com. This section uses part of the 425km route from Larne to Ballyshannon. Catch the boat out to Rathlin Island where an almost traffic free, 12 mile cycle trail takes you from its famous bird sanctuaries over to its seal colonies. Back to the mainland and off toward Torr Head, one of Northern Ireland's most infamous climbs by bike. Coast into Cushendall for a well earned break. Start off in Cookstown on the Belfast to Ballyshannon route which totals 390km. The Sperrin Mountains steal the limelight as you pedal through one of Northern Ireland's great unspoiled wildernesses. From Wellbrook Mill, Beaghmore Stone Circles and down the valley into Gortin, the endless landscapes and rich colours repay all the effort. As always, a warm welcome awaits you in Omagh town. The Strangford Lough Cycle route follows quiet country lanes and coast roads, making this a great introduction to cycle touring. 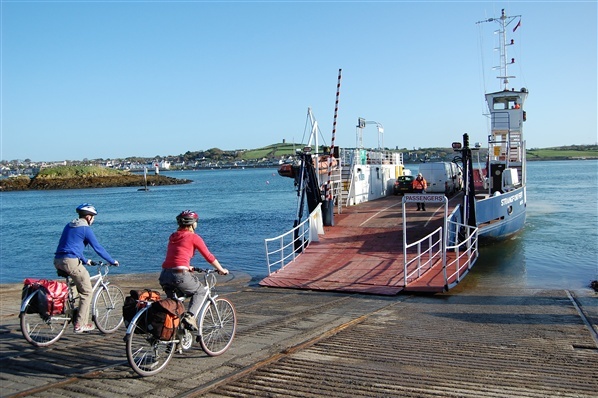 At Portaferry wheel your bike onto the ferry and cross the surging water to sleepy Strangford village. A short pedal from here takes you to Downpatrick… Saint Patrick's town. The last 10 miles of the trip brings you past Castle Espie, an important wildlife centre where walkways and hides get you right up close to nature. 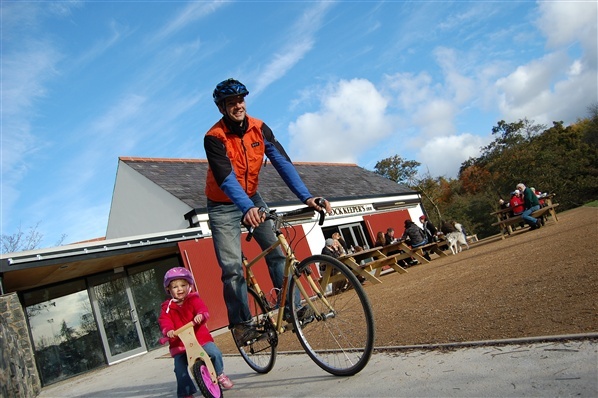 Park up at Comber, grab a cuppa and with your appetite whetted, plan your next cycle trip in Northern Ireland. For a stunning cycle ride along the North Coast, follow NCN Route 93 between the Giant’s Causeway in the east and Benone in the west, passing through the resort towns of Portrush, Portstewart and Castlerock. Significant stretches of the route are along traffic-free paths. Either bring your bike with you or hire a bike when you get here. Bike Hire is available throughout Northern Ireland, please click here for a list of providers. For longer or shorter options please visit CycleNI.com.